This week has been tiring between unpacking, doing approximately millions of loads of laundry,and taking care of Ruby after her surgery. I'm her least favorite person right now because as she keeps evolving and learning where we are hiding her medications, I'm forced to just stick the pill down her throat. I swear dogs are too smart for their own good sometimes! Today I'm linking up with Amanda for my usual Friday Favorites! Yesterday was so overcast and dreary, it was perfect for cuddling up with a book and some snacks! I've heard a ton about how much people love La Croix but I think the Lime is just so-so. What are some other good flavors I need to try? How stinking cute are these cookies?! I feel like a total fatty constantly bringing up cookies lately but these things are SO good! They are made with a little bit of Peach Schnapps and have some sort of frosting-like filling. I've never tried to make them because they seem super complicated, but here is the most similar recipe I can find. Has anyone tried them before?! Three. Nordstrom Pre-Fall Anniversary Sale. I definitely suggest snagging some Zella leggings. They are my favorite and can be worn for working out or just as leggings with boots! Pizza has been my jam lately, especially the kind where you throw whatever you have on as toppings! 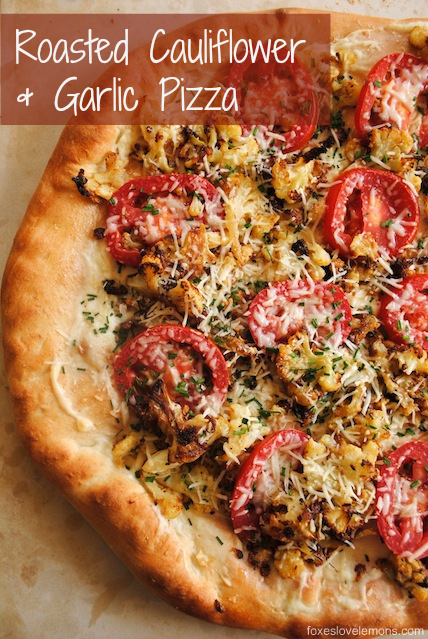 This Roasted Cauliflower and Garlic pizza looks delish and somewhat healthy... bonus! Also, why didn't I think of these homemade drumsticks?! You can pick your own ice cream and jimmies! I'm totally adding them to my summer bucket list! Five. A weekend with nothing to do! I can't wait to do absolutely nothing this weekend, who is with me?! Sometimes those are the best weekends. I really need to catch up on emails and get back into normal blogging mode because I miss it! I hope you all have a fab weekend! It's the last one in July! Eek! Those peach cookies are so unqiue! The look awesome. I still have to read The Husband's Secret. I love La Croix but lime is not my fav. Try coconut or passion fruit (only at target!) those are my favorite flavors!! I drink all flavors of La Croix pretty much but lime is actually one of my favorites! Try putting a little splash of cranberry in the lime la croix and it's so refreshing ! I have never tried La Croix, but I did start The Husband's Secret the other day :) that pizza.. yum. need. The peach-pear la croix is the best! And on the subject of peach, those cookies sound delicious! Love the grapefruit La Croix the best (it's like a peach colored can). You can always mix the lime with some sweet red wine for easy sangria ;) Have a great weekend and see you next week, pretty! I don't have a Nordstrom card either so yes I am sick of hear about it! Plus I can't buy a thing according to Theo so I'm even more over it!! Hope Ruby had a good recovery! Poor little thing!! And poor you too! Have a good relaxing weekend and let's get together next weekend! Those cookies look amazing! I'm not a cool kid either, so I've been on there all morning, I've got it narrowed down to a few things now :) YAY for a free weekend, we have one next week and the level of excitement I'm feeling is ridiculous haha. Cheers to a relaxing weekend! I have a pretty busy schedule these next two days so I'm jealous of your downtime (oh, and your cookies too!). That pizza looks yummy! I'm on the hunt for some riding boots too - let me know if you find any! And I totally feel you on having a weekend with no plans - I'm basking in the same glorious plans (aka no plans) this weekend as well. Those cookies are too cute!!! And that pizza sounds delicious, I kinda want to try it out too! Hope you have an amazing weekend! The Husband's Secret has been on my "to read" list for a while. Do you like it? 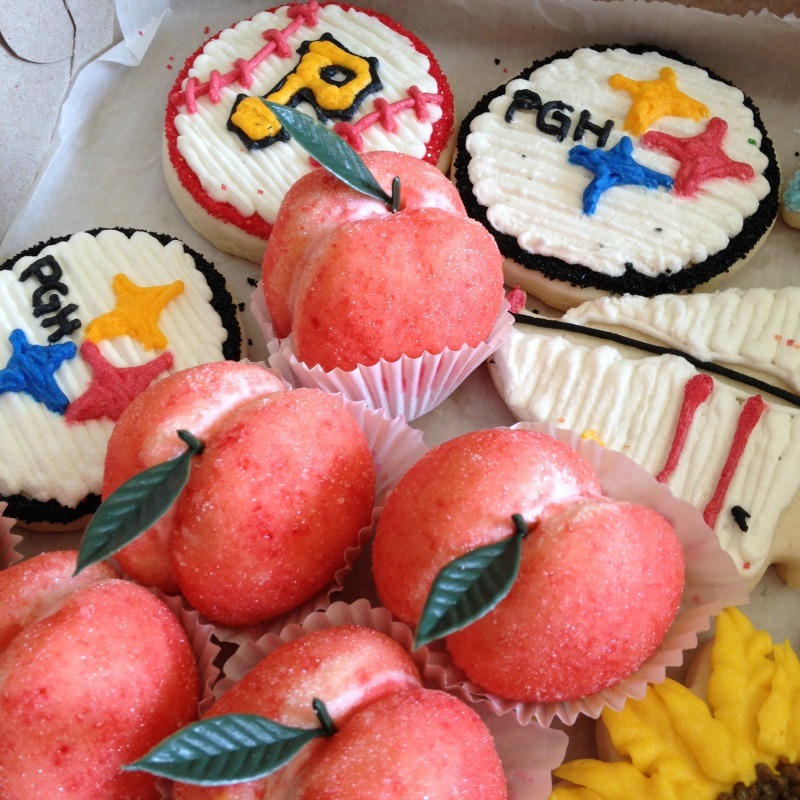 And those peach cookies look amazing! Great minds do think alike :) Just added the Zella leggings to my shopping cart -- this sale is going to be the death of me (and my wallet)! Happy Friday! I've been loving some La Croix lately as well and need to try other flavors! I think I need to invest in the Zella leggings - I've heard nothing but great things!